As the #1 Youth Baseball Bat, you can trust and expect that Easton will deliver the best performing baseball bats in the game, and the 2017/18 Ghost X is no exception. 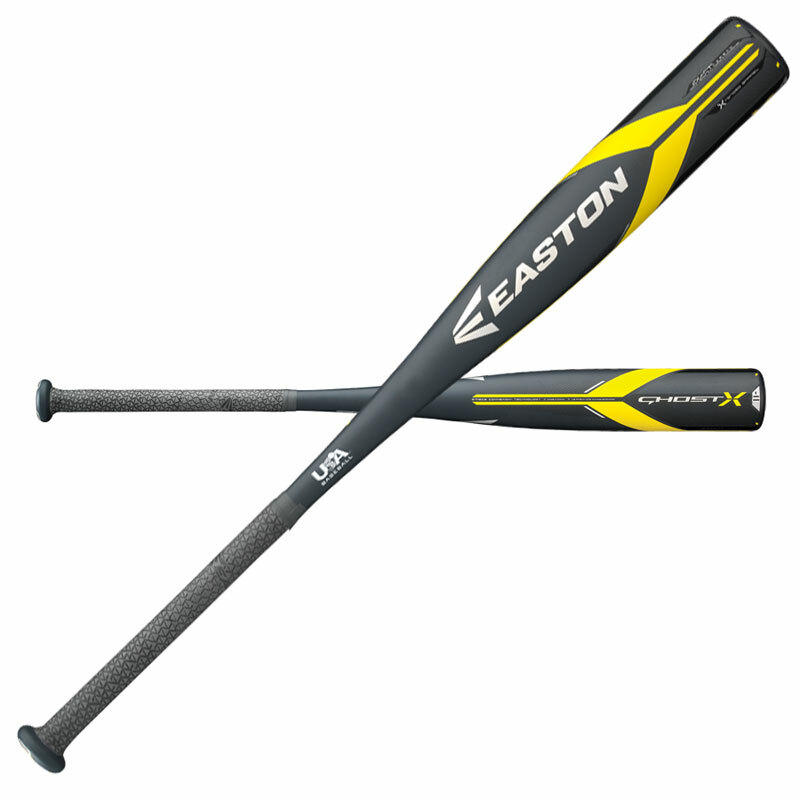 The Ghost-X Hyperlite -11 USA bat, features Easton?s new EXACT? advanced carbon technology that creates a light swing weight, while the Hyperlite?s one-piece speed design enhances feel and control. Easton?s X-tended barrel design continues to deliver the longest barrels in the game, giving players massive sweet spots for more power. Technical, Powerful, Supernatural. Are you ready to experience the Power of X? The new Ghost X USA series meets the new 2018 USA Bat Standard and is APPROVED FOR YOUTH BASEBALL PLAY IN AABC BASEBALL, BABE RUTH & CAL RIPKEN, DIXIE BASEBALL, LITTLE LEAGUE BASEBALLÂ® AND PONY BASEBALL.